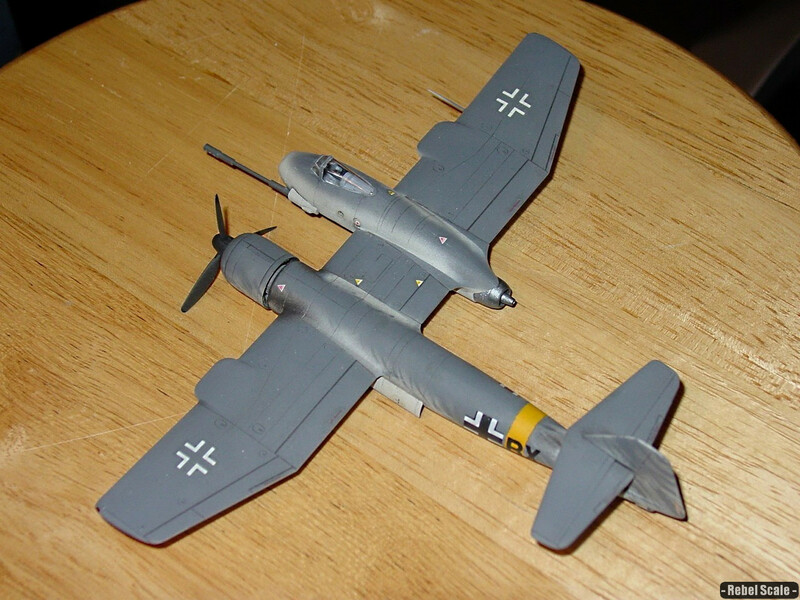 This is a modified build of Revell of Germany’s Blohm & Voss Bv P.194. Mainly, I just scratch-built a MK412 55mm cannon, which I added to the left side of the nose. 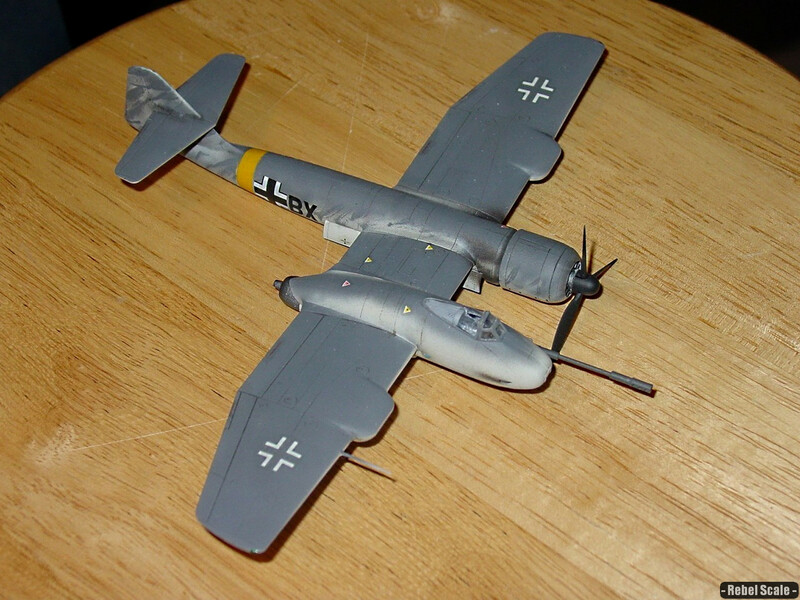 The markings were inspired by artwork from the Luft46 website. The kit itself is really nice with landing gear, open/closed bomb bay, and a decently detailed engine with optionally opened cowlings. Asymmetrical aircraft were not unheard of, and Blohm & Voss had created 141 already, so they pushed forward to design and build a multi-role platform for the Luftwaffe in March 1944. The new plane would feature a radial engine and bomb bay in the left hull, whereas the right hull would contain the pilot and an upward-facing jet engine. While odd, the design would give pilots a better “unobstructed” view of the battlefield, as well as providing good weapons, fast takeoff, and fast low-level speeds at a cheap cost. The project never made it to the “prototype” phase, as the war was already severely limiting resources for “in production” planes, and the Bv P.194 didn’t seem a viable option.